Follow the calendars of your target devices. This is especially useful for keeping track of employees work schedules. 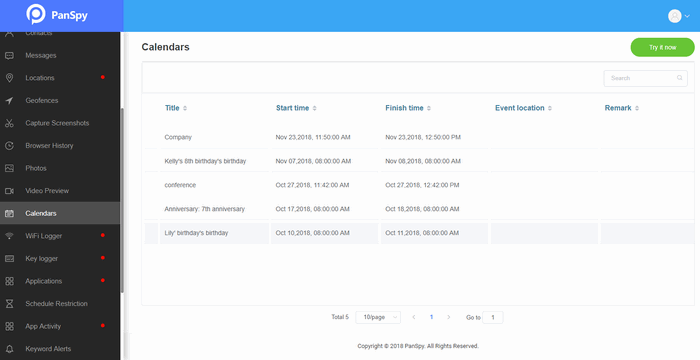 PanSpy enables you to view the content of calendar activities and the location of Scheduled events on the monitored phone. Calender activities should be a good reference when you are doubtful about what you're told by your child or employee. Follow the calendars of your target devices to view the content of the scheduled event. And when the user of the target device schedules an event, you will be able to see where that event is going to happen.